Do you love "Boos" - and who doesn't, right? 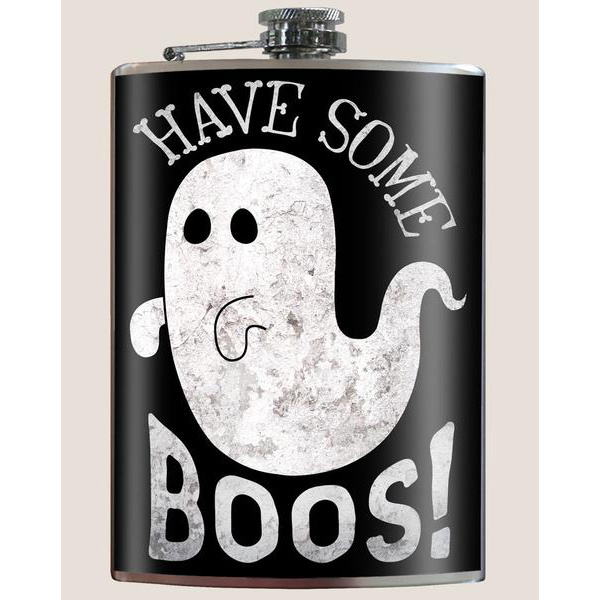 Perfect for keeping spirits of all kinds, and for those who live on the spooky side. Original art on a stainless steel hip flask; created by the artists Trixie & Milo - how cool is that? Every flask is made from 100% lead free, food-grade stainless steel. Each design is printed on high-quality vinyl that is both water and alcohol proof. 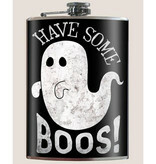 These flasks make an awesome gift for weddings, birthdays, holidays, special occasions, and more. Also, don't forget to add a funnel to your flask order (it makes it so much easier to fill up that way!). Image is protected by a layer of high gloss liquid laminate, and baked on at over 200 degrees. This means it will last a long time! To clean: wash with soapy water, rinse clean, and wipe down with a soft cloth to dry.